My mother in law makes some of the best food around but it’s usually not vegan or even vegetarian so since I stopped eating meat, I load up on all the vegetables whenever we eat there, which are always pretty good. So this past weekend, I made it for dinner. 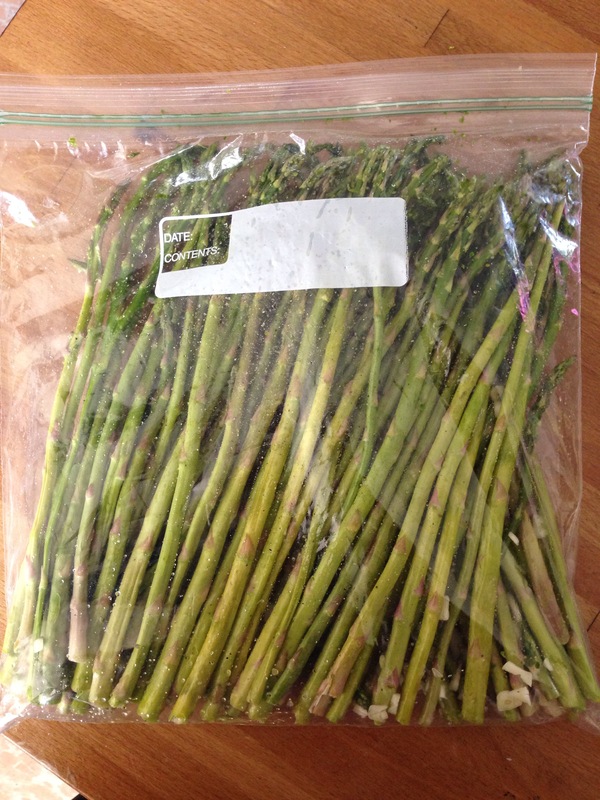 I put all the ingredients in a ziplock bag and gave it a shake. I usually line my tray with foil to avoid having to wash it. I served with some super delicious roasted potatoes. And, eggs. Although I eat 90% vegan I still have not made a complete transition to vegan because I still eat eggs about once a week. I’m working on it. 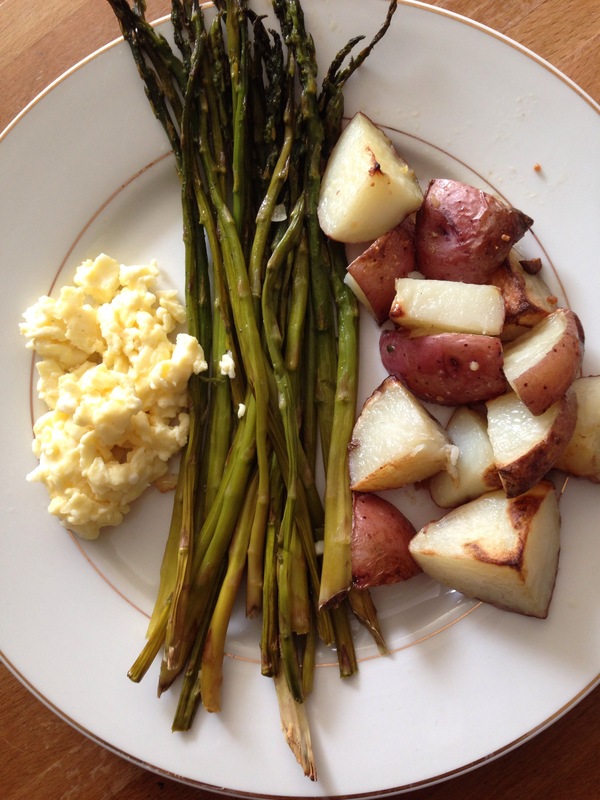 Obviously, the asparagus and potatoes alone make it a delicious dish. 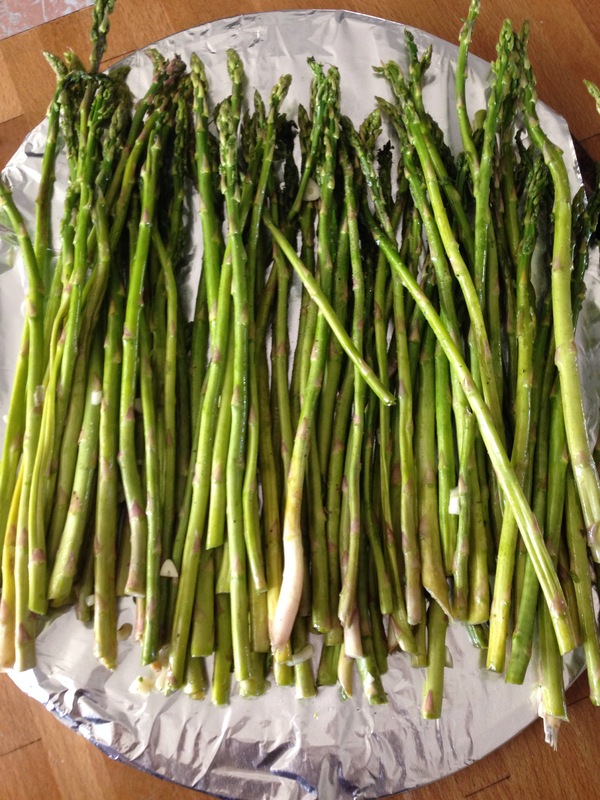 Lay asparagus on a non-stick sheet and bake for 10-15 minutes or until tender. Pretty simple right? Its a great side to any dish whether vegan or not. I am not sure why it took me this long to prepare.